The Squirrel's Nest Cottage can accommodate up to four people, has two small bedrooms, with full size beds, fireplace and kitchen. 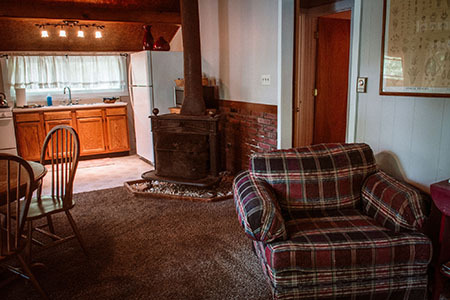 This cottage is used by couples and young families. 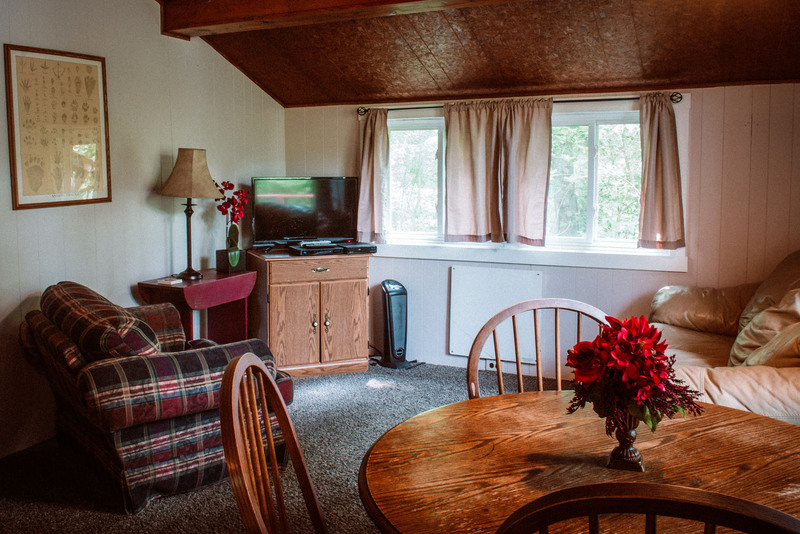 The living room features a vaulted ceiling with a large picture window which provides a beautiful elevated view of the lake. 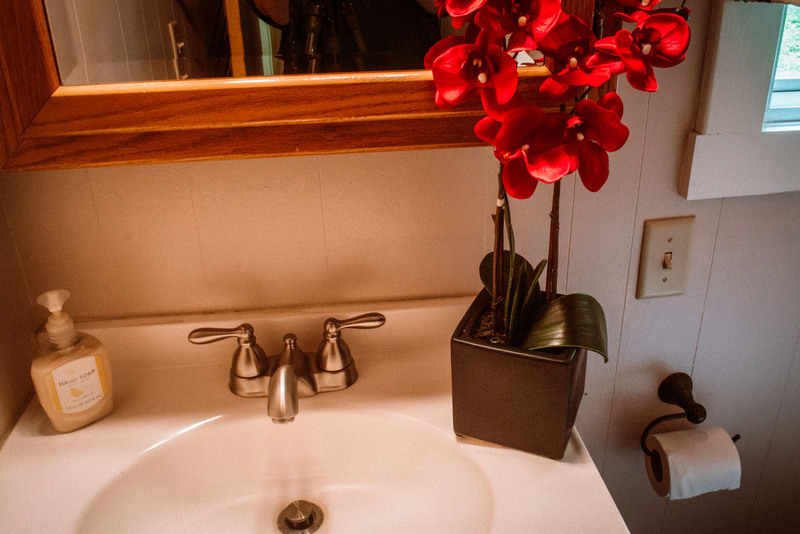 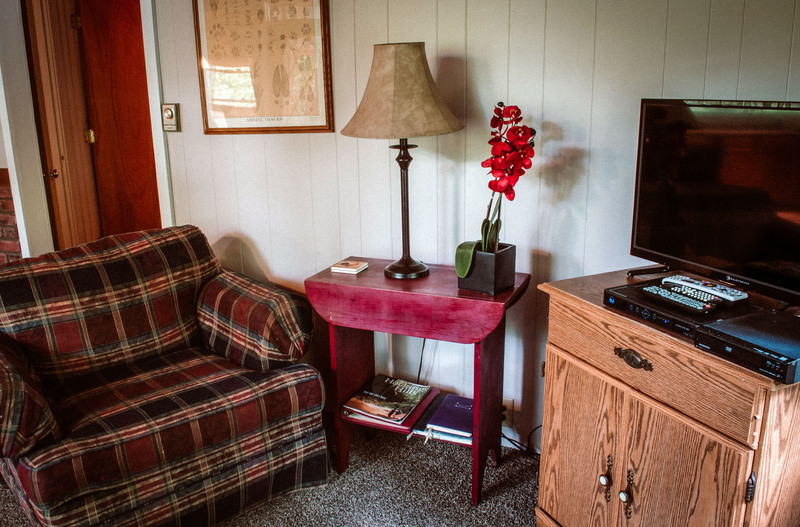 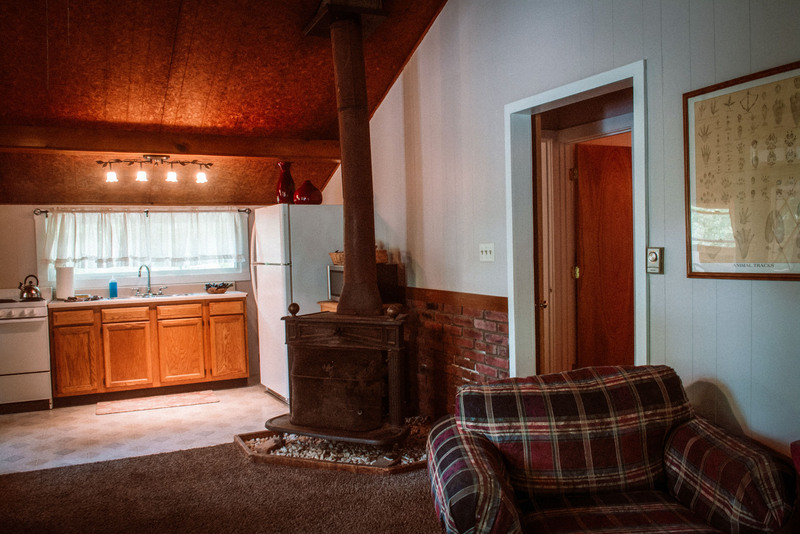 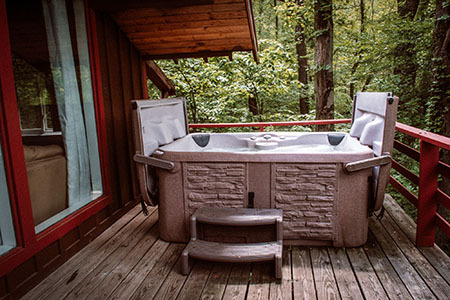 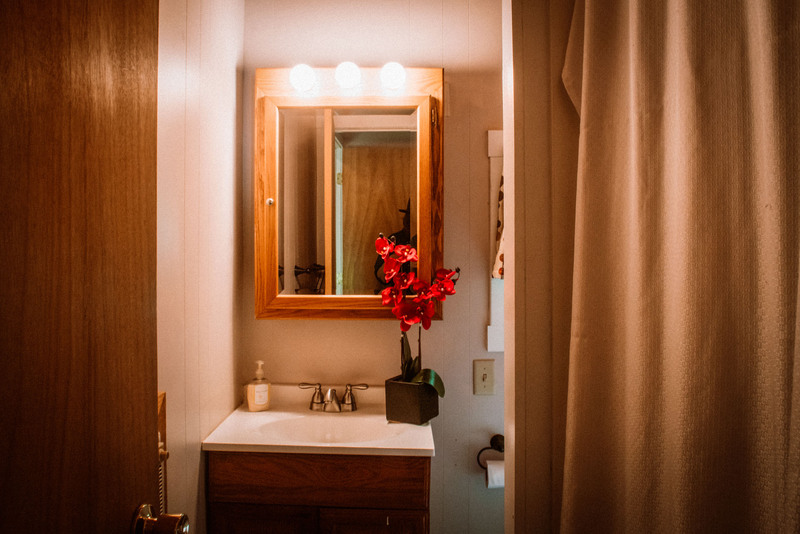 A hot tub is located on the front porch, overlooking the lake which is a stones throw away. It is a perfect spot for a family with small children who would like to keep an eye on their children from the porch. 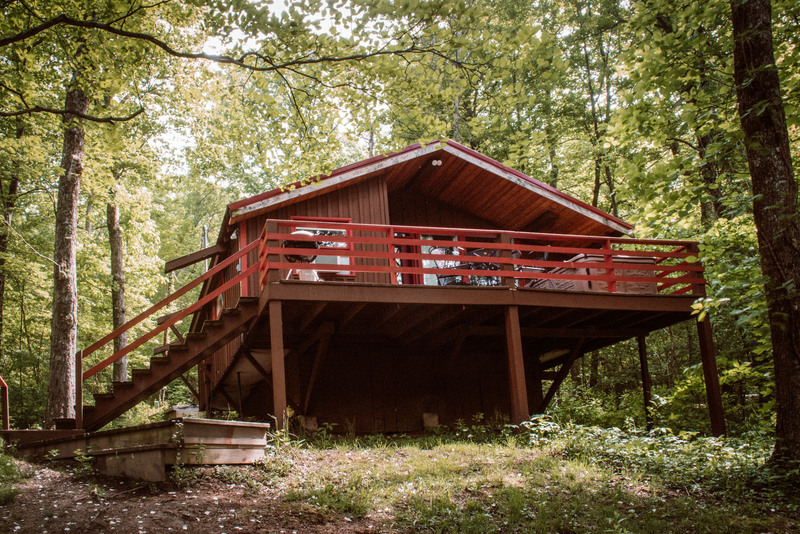 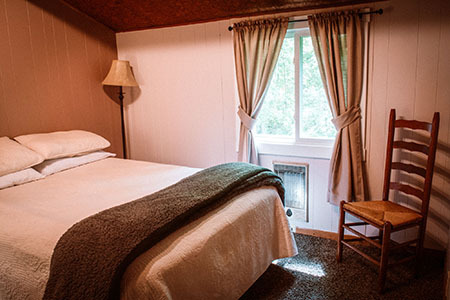 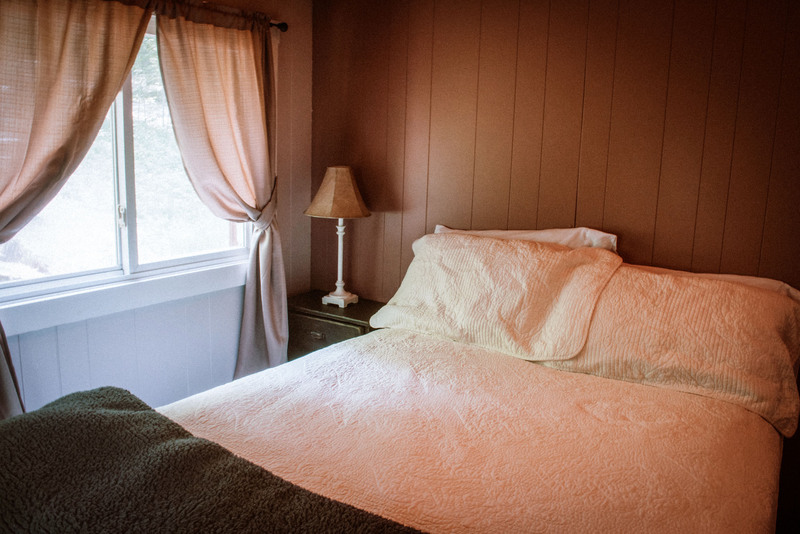 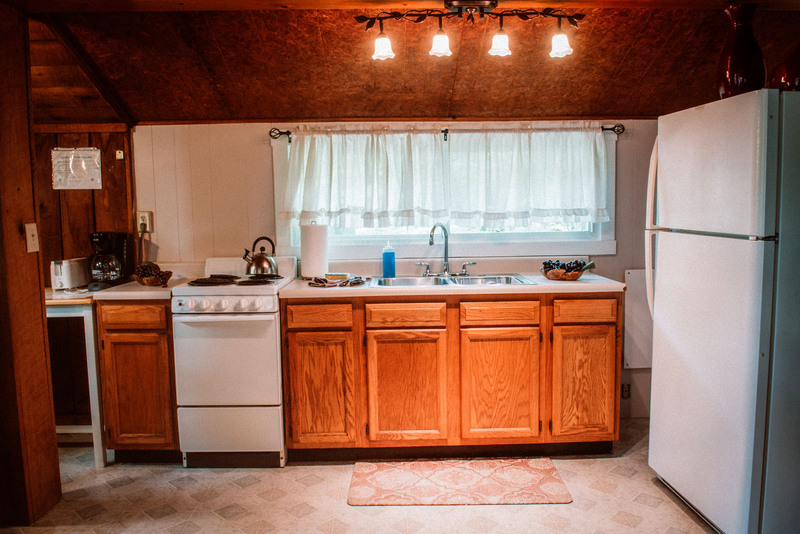 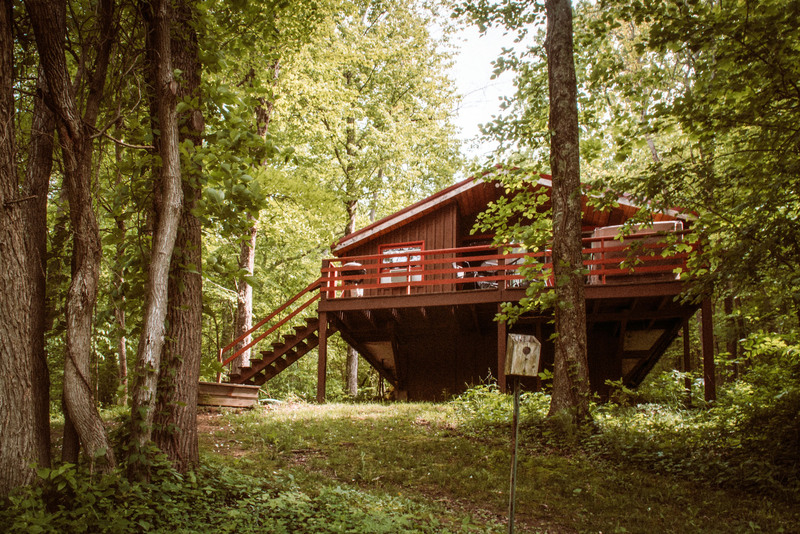 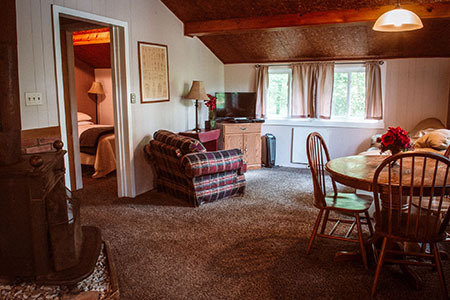 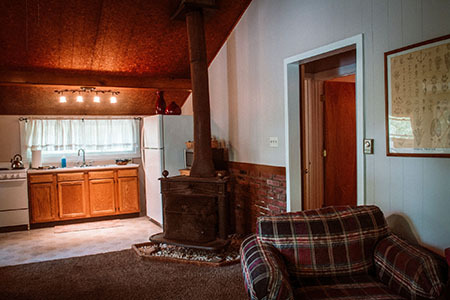 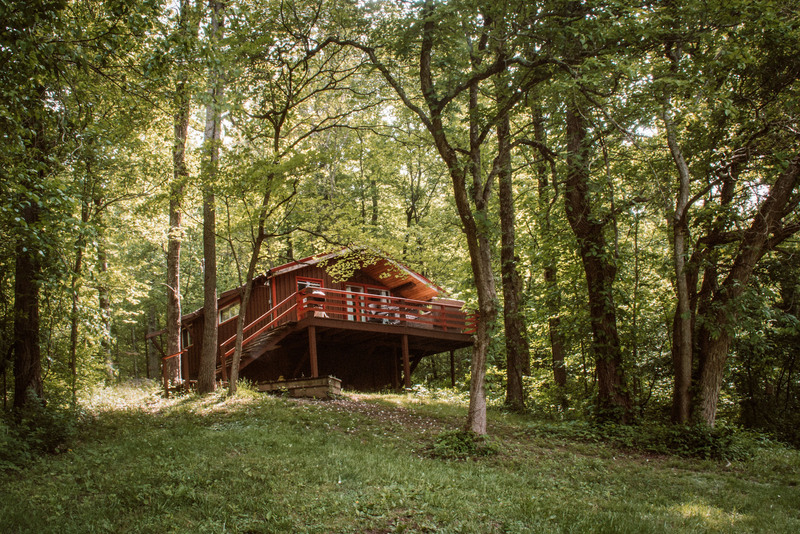 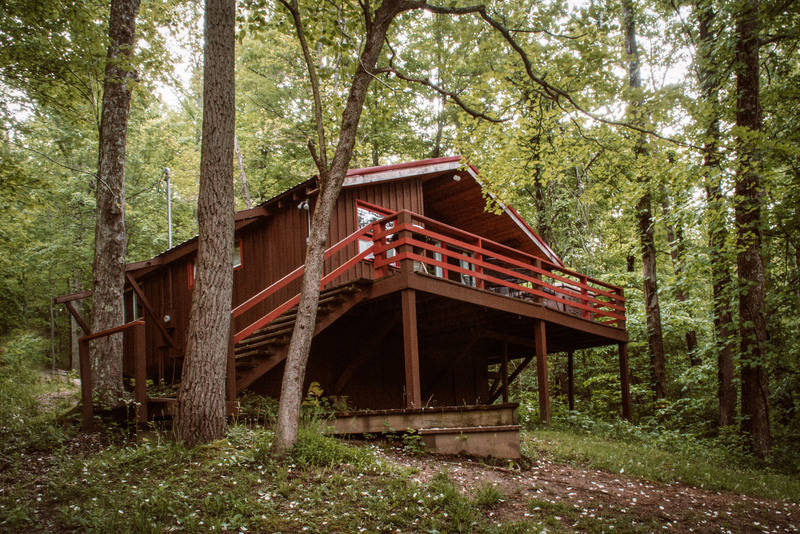 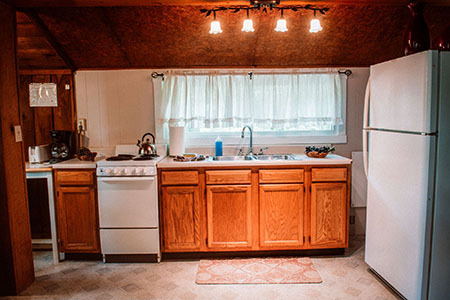 Weeknight pricing begins at $135 per night for the cabin with occupancy ranging from 2 - 4 with no additional per person fee.